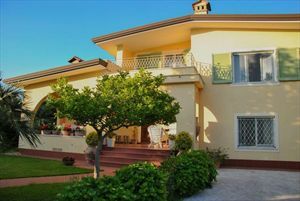 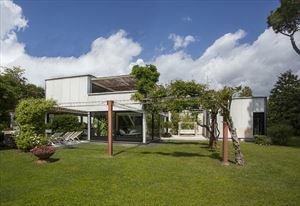 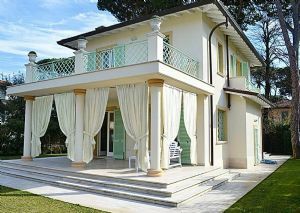 The villa is full equipped of various services: internet wi-fi, alarm system,own private parking and barbecue. 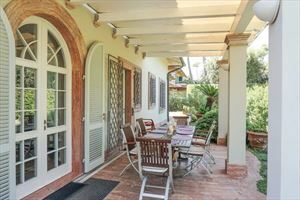 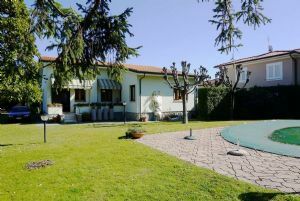 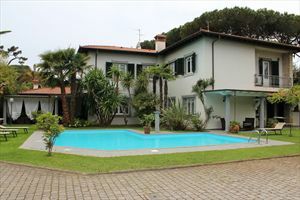 The external patio introduces on the ground flloor, where there are: 2 large saloons with sofas,armchairs, kitchen, laudry, 1 bathroom, 1 queen double room with own bathroom. 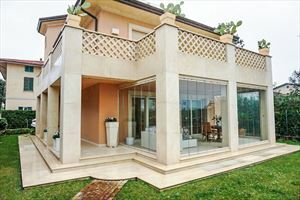 On the first floor: 6 double bedrooms furnished in a charming style in according of the colour of the drapery,4 bathrooms built with pregious marbles.